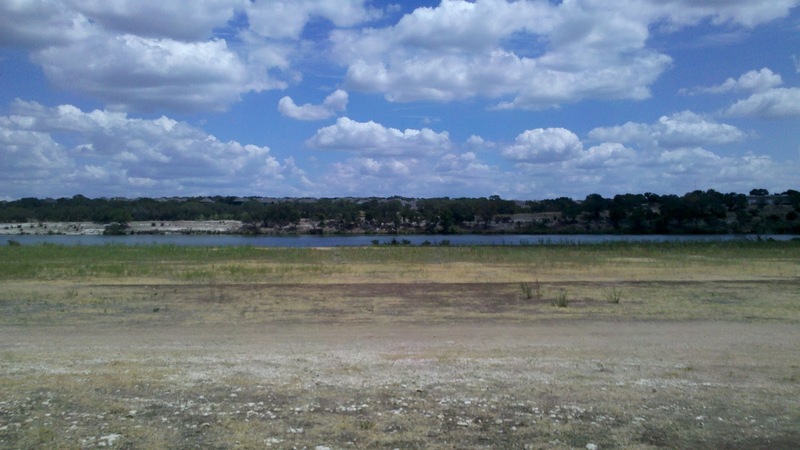 Brushy Creek Lake Park in Cedar Park is a wonderful park, with something for just about everyone. Where ever you live in Austin, it is well worth the commute for a full summer day. And one of the best parts is that it is all free!! The park, acquired in 1987, is 90 acres including a 38 acre lake and has miles of trails for bikers or runners. 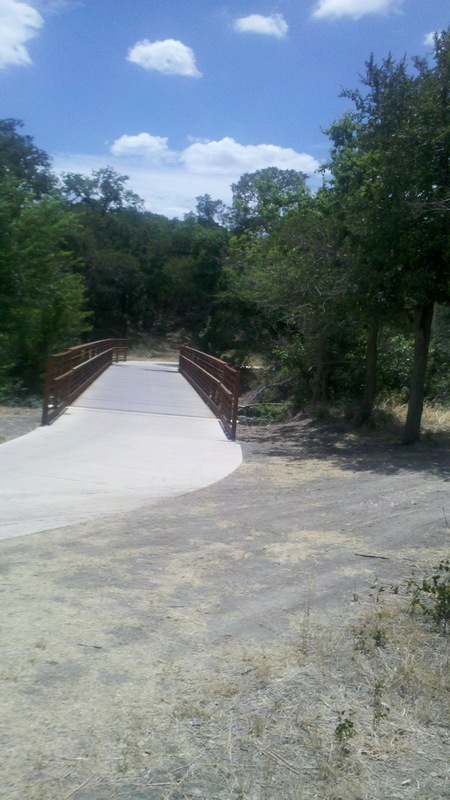 The trail winds along Brushy Creek Park and then runs past the lake and goes under Palmer lane for another couple of miles (not sure of the distances). If you head out on a weekend, there is a canoe/kayak rental place for a chance to get in some paddling! 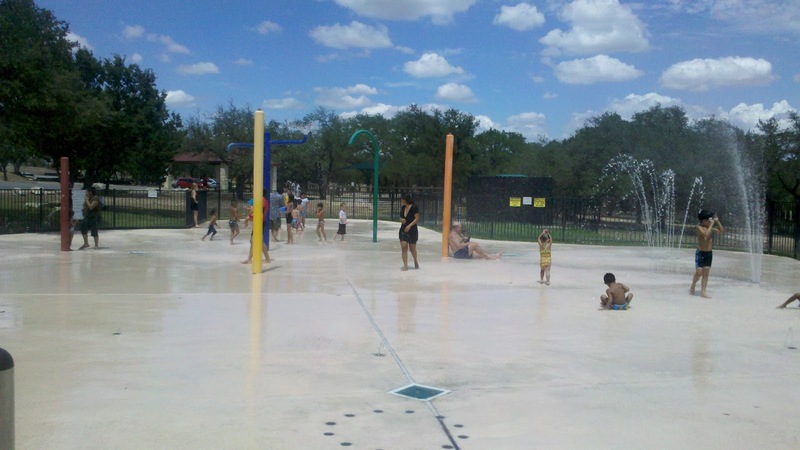 Bring bathing suits (for the sprinkler pad, not the lake! ), bikes, skateboards, fishing rods and hiking shoes! The park is split into two, divided by Palmer Road (or maybe it is two parks? 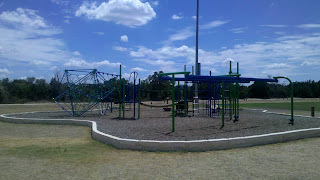 Not sure) On the west side are a large number of sports fields and a really fun playground! 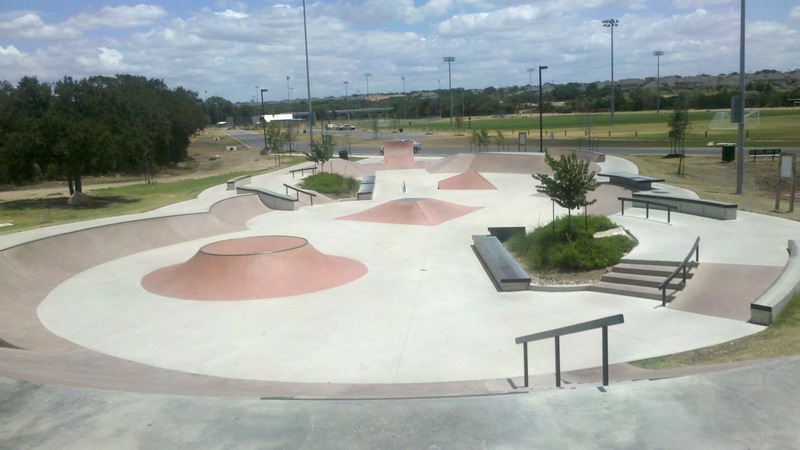 Also on the west side of the park is a neat skate park which you can also use for scooters. Not knowing much about skateboards, all I can say is that the variety of ramps, turns and bowls was pretty amazing! If you have a free day in the summer, this is a great place to come and enjoy a huge variety of outdoor recreations! With words like, "Check this out, Mom. It is so beautiful" and "I am totally Indiana Jones", this place was obviously a huge hit with my boys! Krause Springs is a small, privately owned slice of heaven just about thirty mintues outside of Austin in the town of Spicewood. 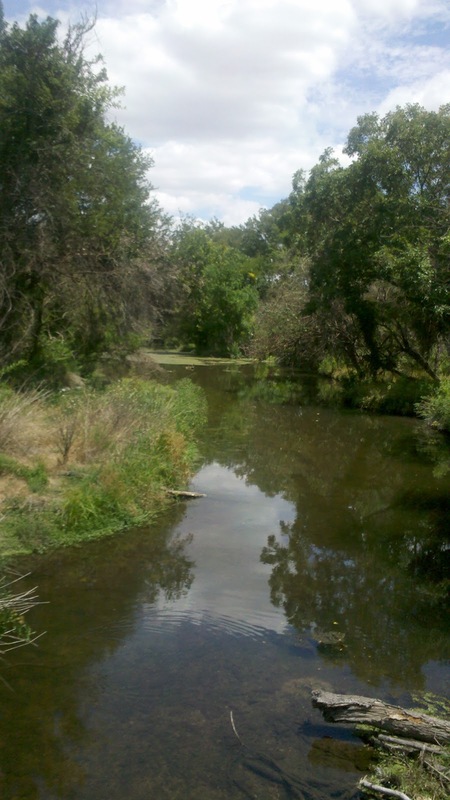 Visitors can come for the day to enjoy the cool waters of the spring or camp overnight. The property is on three levels, with the top-most including the parking lot, main house, camping spots and a beautiful butterfly garden. Down about thirty steps is a nice picnic area, with more than enough picnic tables planted beneath huge, shady cypress trees. Also on this level is a man-made swimming pool that is fed by spring water. The pool isn't large, but it is nicely shaded and has an area in the back that is just perfect for jumping off. With another forty or so steps down, you arrive at the main attraction, a natural pool fed from multiple springs in the area. Huge cypress trees shade much of the cool pool, with waterfalls, and small streams. D jumped off immediately, but it took K a few tries to get up the nerve to do the high jump. But after that, they climbed and jumped for over two hours! Almost as cool, the springs have two caves to explore, one of which is located behind a water fall and is partially submerged so you can swim into it. A little creepy, a lot exciting! 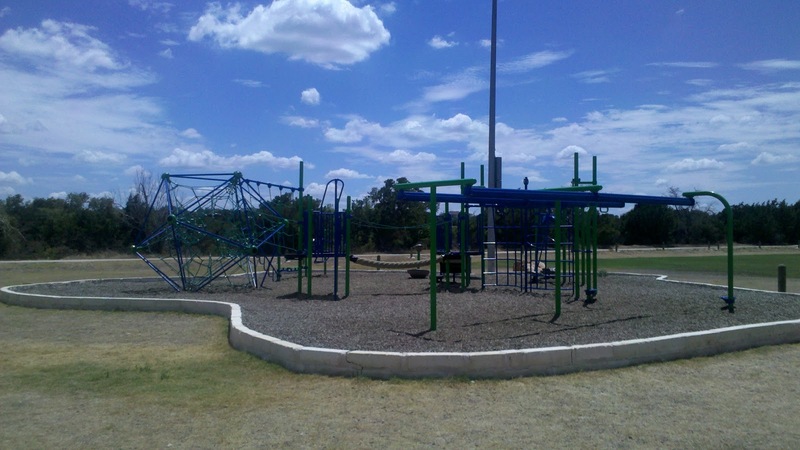 This is a place that can keep kids entertained indefinitely. If they tire of swimming, they can lounge around in the upper spring and watch the fish. Or they can explore some of the back area of the pool. Or just enjoy all of the natural life that seemed as attracted to the pool as we were. There are no provisions on site, so bring a cooler with drinks and picnic supplies ( no glass). There is a bit of a hike down to the pool, so we just left our cooler on the second level and walked up to it at lunch time. Bring rafts or tubes. There is really not much more relaxing then floating in the cool waters in the shade of the cypress tree. Plus, the raft is a good location to throw the rope swing back up to waiting jumpers. The rocks are very slippery, so go carefully! We did have a couple of spills, myself included, though nothing serious. I first came here when my youngest was 4 years old. At that age, the pool was a little more difficult to manage. The slippery rocks and somewhat murky water make the parent of a novice swimmer somewhat nervous. As do all of the nooks and crannies that they can disappear behind. We had a good time then, but at 9 this place is perfect! When the temperature is 108 degrees, even we have to start looking for entertainment indoors! One of my boys' favorite indoor entertainment places in Blazer Tag - a game of hide and seek with lasers. Every player is given a "laser" gun and a jacket to wear. The jacket has a collection of lights that blink if they have been hit. The players run around the indoor arena trying to shoot the other players more often then they are shot. Depending on the number of participants, the players are divided into teams or free-for-all. The games are fifteen minutes, plus a five minute briefing. If the kids want to play two games, they space them forty minutes apart, so there is about twenty minutes of wandering around time in between games. Outside of the playing arena there is an assortment of arcade games that can be played by purchasing tokens. Blazer Tag recommends players be at least seven years old to play, but as long as your child can hold the pack, they let him play. My youngest played his first game when he was five! The age of the kids differs; in the late morning to early afternoon, most of the kids are younger. But I think in the evenings, the players tend to get a bit older and more competitive. This can get expensive, as two games plus $5 in tokens costs $22 and only keeps the kids entertained for about two hours. But there are frequently two for one coupons available in local newspapers, coupon packs or online sites such as Valpak.com. (Though I couldn't find any for August - the last coupon I could find expired July 31st). There are also frequently "special" days where games only cost $5. This is also a great place for birthday parties - with special package deals. Just be forewarned, if you select the pizza party, they don't serve the pizza until after both games are played. So plan your event with that in mind so you don't have hungry kids. The establishment also hosts lock-ins overnight. I assume these are for much older kids than mine, but they do seem like they would be fun for the older kid crowd. For the last five or so years, the Wildflower Center has been teaming up with HEB to provide Nature Nights, a fun explorations of plants, animals, and the ecology of Central Texas. Each evening features interactive presentations, hikes with experts in their fields, and nature crafting for kids of all ages. June 16 - Grow! What do Plants and Animals need to Grow? The Wildflower Center, founded by Lady Bird Johnson, is devoted to preserving and protecting flowers and plants native to Central Texas. In its 279 acres, there are trails, gardens, ponds, and an education building for young children. The center also sponsors many annual events and exhibits. We had been wanting to go to wildflower nights for a while, but this was our first time to actually get there! The theme for this evening was focused on Birds of Prey. Past nights featured reptiles, bees and wildlife tracking. Inside the education building, tables were set up with a variety of activites for children. There was a booth that taught the sounds of differing owl calls, another that had a large collection of feathers and a third table where you could make your own owl mask. At 7pm, the Blackland Prairie Raptor Center gave an hour long discussion of birds of prey, and brought along five birds for the spectators to enjoy! Throughout the night, volunteers from the Audobon society gave tours through the center, with a focus on the habitat of Birds of Prey. And of course, the grounds were open for exploration and enjoyment. While, with the heat and draught, this isn't the prettiest time at the Center, there are still lots of flowers to enjoy!